This "many-headed" organism is a plasmodial slime mold commonly found in forests on decaying deciduous trees. Available in both plasmodial and sclerotial stages. 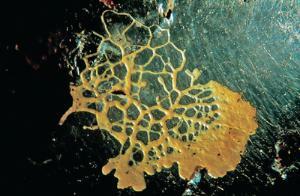 The Plasmodial Stage is the active feeding stage of Physarum and consists of a network of protoplasmic veins. 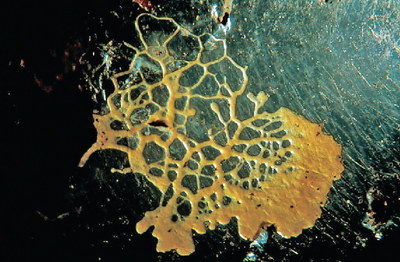 Plasmodial Stage is excellent for viewing Protoplasmic Streaming, or "Shuttle streaming"
The Sclerotial Stage is comprised of macrocysts, and is Physarum's dormant stage. It protects the organism until it is able to rehydrate in the presence of a food source. 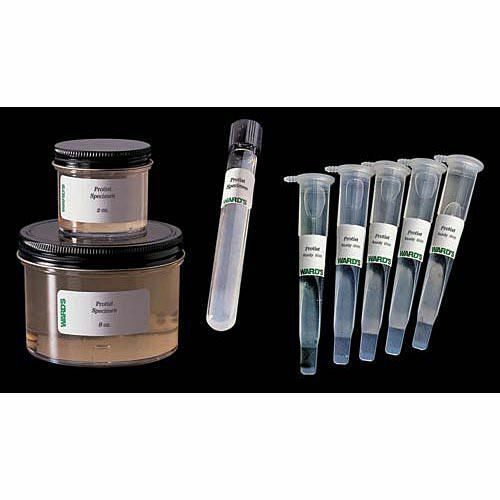 Ordering information: Bacterial and fungal cultures are restricted and can only be ordered by educational and research professionals. Ward's Science is not affiliated with the American Type Culture Collection and does not provide corresponding ATCC numbers for our organisms. 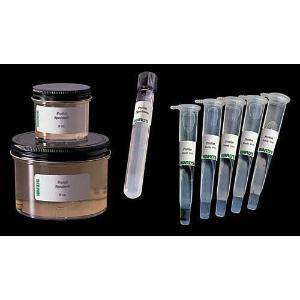 All fungal cultures undergo an extensive quality control program prior to releasing for sale, so they are guaranteed for purity as well as for species. This organism is offered as a ready-to-use plate culture, as well as a dormant, dry version that can be rehydrated for culture at a later time. Delivery information: These products contain living or perishable materials and will ship via overnight or 2nd day delivery. Please specify a delivery date during checkout.